Snow Camps Europe customers recognize the following terms and conditions as a basis for claiming all services of Snow Camps Europe. From these terms and conditions - briefly called Conditions - deviating or supplementary agreements, are only valid if they are confirmed in writing by Snow Camps Europe. If any provision of these GTC are invalid, it will affect neither the validity of the remaining provisions or the validity of the relationship itself. 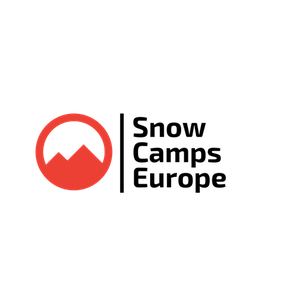 1.1 Snow Camps Europe enables ski and snowboard schools (the “Service Providers”) to market their ski and snowboard lessons or any other snow sports activities (together the “Activites”) to tourists. Snow Camps Europe acts as an intermediary between the Service Provider and the tourist and is not a contracting party for the services booked. Snow Camps Europe cannot be held liable for any damage incurred during the Activity provided by the Service Provider. Snow Camps Europe cannot be held liable for any safety issues arisen before, during or after any activity booked through Snow Camps Europe. 1.2 Snow Camps Europe offers to its users and visitors an online platform that facilitates the presentation and arrangement of sports and leisure activities and related services between users and in relation to this, also providing email or messaging and social media services, online tools and features to enable users of the Site to directly request and conclude booking transactions with other users for such activities and services (collectively our Service). Snow Camps Europe is not a contracting party for booked activities and services. 1.3 Please note that the legal contract for the supply of activities and booking transactions is between Service providers and Customers and is outside the scope of influence of Snow Camps Europe. There may be situations in which you are required to accept additional terms and conditions provided by Service providers. Any such terms will be in addition to these Terms. Please note that Snow Camps Europe provides services from a wide range of activity providers. The provision of such activity arrangements will be subject to the terms and conditions of each service provider as part of your Conditions of Contract with us either as agent for the service provider. We cannot list all of the supplier's terms and conditions here but you will need to have read them carefully. You will be able to find the conditions of for these suppliers on their own web sites. If you are unable to do this then please contact us. 1.4 You acknowledge and agree that Snow Camps Europe is a platform that enables You and other Users (Service providers and Customers) to request and conclude booking transactions in respect to activities and related services listed on the Site and, consequently that Snow Camps Europe is not itself a party to any booking transaction and disclaims all liability arising from or related to any such transactions to the fullest extent permitted by law. Snow Camps Europe's role is solely to facilitate the availability of the Site and Services for Users and to provide certain services related thereto. We do not purchase, buy-in, sell, provide, control or manage nor can We contract in our own name for the provision of any activity listed on the Site nor related services including, but not limited to, equipment and equipment rental, accommodation, transportation or travel services. We are not supplying and cannot supply such activities or services to Customers. 1.5 By using Snow Camps Europe as a platform, registered Service providers may offer and supply to Customers activities and related services. Service providers may be either qualified or authorized providers or persons, who are entitled by law to arrange or enter into transactions of such services directly with Customers. Snow Camps Europe performs quality checks from time to time but is under no obligation and cannot be held liable to verify the eligibility of Service providers to offer the services presented on the Site according to the local laws and regulations that may apply and govern these types of services. Prices or price rates are determined in € and include sales tax. Misprint in the price overviews are reserved. The activity bookings are not transferable to third parties, and entitle exclusively to those specifically identified and thus rightful owner to claim the corresponding price and service performance. Unless a written exception, given out by Snow Camps Europe, is obtained. We also reserve, in case of exceptional weather conditions and transport safety reasons, the right to change activity times and / or tariffs. In both cases, the guest is not entitlement to reimbursement of payments already made. Only in the case of an utter event and therefore rejection of a activitys, Snow Camps Europe has to pay a prorated refund (to their calculation, see item 5). Further claims are not to be made by guests. Snow Camps Europe customers are obliged to educate Snow Camps Europe truthful about their skills in skiing and snowboarding, their health, their overall condition, their physical abilities and any ailments and injuries. In addition, the customer has to autonomously wear winter-proof ski clothing and prioritise the appropriate care for their/the ski or snowboarding equipment. We recommend that guests have a professionally inspection on their own ski and/or snowboard bindings to be carried out before the start of any activity. In children or minors, these obligations apply to the adult companion. The group allocation of participants is made by the head of the “Service Providers” or by an authorized crew member. He/she shall also decide on a possibly necessary step in a group with a low or higher level of performance. The guest has to follow the instructions of the “Service Providers”, any crew member, and the ski, snowboard or snowshoe instructors and guides. When disregarded, the “Service Providers” is entitled to terminate the contractual relationship early. Likewise, we authorized the right to denial service and activity participation when drugs or alcohol consumption is defined. In both cases there is no refund of already been achieved payments for the customers of Snow Camps Europe. In case of cancellation during activity's, or failure to appear at an agreed date and time, a refund claim is excluded. If activity's are confirmed, but the customer does not make use of the reservation, Snow Camps Europe reserves the right to claim the entire payment from the customer named on the registration. A refund of the activity fee, or a part of it, due to injury or illness is only possible with a doctor's certificate and on presentation of the reservation. When such a situation occurs during an actovity, the injury or illness has to be examined by a local doctor and a doctor´s certificate has to be presented as well. Any of our Snow Camps Europe customer are recommended to take an appropriate accident and liability insurance. Snow Camps Europe is only liable to legal regulations in accordance and solely for damages which were caused directly by the action of Snow Camps Europe in grossly neglectance or intentional way. All other liability for accidents before, during or occurring after activity's, we expressively reject. Customers of Snow Camps Europe have to forward complaints immediately to a crew member of Snow Camps Europe on site, in order to find a possible remedy. Claims for reduction of payment or partial refund of payments made in principle, only exist in case of gross neglectance caused, attributable to service disruptions or agreement adversity. In addition to the immediate notification of such claims, a written claim has to be addressed to Snow Camps Europe within a period of 4 weeks after occurrence, together with argumentation and justification. Solely Austrian provisions, substantive law. The decision on all disputes, arising from this contract or out of power relationships, that is exclusively responsible, will be made objectively at the headquarters of Snow Camps Europe competent court. Course cancellations due to weather-related influences (force majeure) (mountain/lift closure) are not refundable. 9. Course cancellations due to weather-related influences (force majeure) (mountain/lift closure) are not refundable. 10. Errors and omissions may occur. By submitting an entry to the Prize Draw, you acknowledge that you have read and agree to be bound by these Official Rules and the decisions of the “Sponsor“ Snow Camps Europe and that you satisfy all eligibility requirements. The Prize Draw is open to people age 18 or older at time of entry. Employees of Snow Camps Europe, its respective parent, subsidiaries, affiliates, advertising and promotion agencies, distributors, merchants involved with this Prize Draw, and their immediate family members and/or those living in the same household of each are not eligible to enter or win. Prize Draw governed by European law. Prize Draw is subject to all applicable federal, state and local laws and regulations. Void where prohibited by law. No purchase necessary to enter or win. A purchase will not improve your chances of winning. The main prize includes seven nights’ accommodation in Kaprun Austria for two people, sharing a studio apartment, including on a self-catering basis for two people; free ski/snowboard rental for six days for two people; free group ski/snowboard lessons with Snow Camps Europe for three or two days for two people, dependant on ability level, dinner at 2 restaurants in Kaprun and 1 in Zell am See, drinks voucher, 2 pair of ski socks, merchandise. If winner is unable to receive the prize then it will be forfeited, and an alternate winner may be selected in accordance with these Official Rules from among the remaining eligible entries for that prize. Prizes may not be transferred or assigned except by Sponsor. The prize must taken between on 27th April to 4th May 2019, travel to and from the home airport to Kaprun Austria and any other additional expenses are the responsibility of the prize winner. Winners will be selected by software in a random drawing from all eligible entries received. Random drawing will be conducted on or about 1st January 2019 by a representative from the Sponsor, whose decisions are final. Winners will be notified by email within one week of the closing date and at the judges’ discretion, will be required to complete and return an email confirmation of prize acceptance and possibly a Affidavit of Eligibility and Liability and a Publicity Release (“Affidavit/Release”) within 7 days of notification, or an alternate winner will be selected. Prize awarded within 30 days after receipt and verification of completed Affidavit/Release or prize notification. If a potential winner cannot be contacted, or if Affidavit/Release is returned as undeliverable or if the selected winner cannot accept or receive the prize for any reason, or he/she is not in compliance with these Official Rules, the prize will be forfeited and may be awarded to an alternate winner. No substitutions are permitted except if prize is unavailable. Snow Camps Europe is not responsible in the event that a prize is made unavailable by changes with the supplier/sponsor. Snow Camps Europe will attempt to find an alternative prize in the event that prize availability changes, but is not required or bound to offer an alternative in the event that a suitable substitution cannot be acquired. The promoter reserves the right to cancel or amend the prize draw and these terms and conditions without notice in the event of a catastrophe, war, civil or military disturbance, act of God or any actual or anticipated breach of any applicable law or regulation or any other event outside of the promoter’s control. Any changes to the prize draw will be notified to entrants as soon as possible by the promoter. No prize (or part of) is redeemable for cash, tickets or services. Prize is non-assignable and non-transferable except to a surviving spouse. Winner is responsible for all federal, state, local sales and income taxes. Any other incidental expenses on prize not specified herein are the sole responsibility of winner. Entry and acceptance of prize constitute permission to use winner’s name, prize won, hometown and likeness for online posting and promotional purposes without further compensation, except where prohibited by law. Limit: one prize per household. Late, invalid, duplicate or incomplete entries will not be considered, and the Sponsor accepts no responsibility for lost entries. If Snow Camps Europe goes bankrupt or out of business, then the year they go out of business is the last year of payment for the premium service. 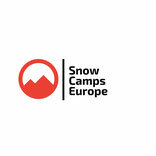 Snow Camps Europe is acquired or merges, it is the new owners’ discretion to keep paying for the premium service. If Snow Camps Europe goes bankrupt or out of business, then the last year they are in business will be the payment for the premium service. Cash value of the prize cannot be redeemed. Participating entrants agree to these Official Rules and the decisions of the Sponsor, and release, defend and hold harmless the Sponsor and its affiliated companies, and all other businesses involved in this Prize Draw, as well as the employees, officers, directors and agents of each, from all claims and liability relating to their participation, acceptance and use or misuse of prize. Winner assumes all liability for any injury or damage caused or claimed to be caused, by participation in this Prize Draw or use or redemption of prize. Sponsor is not responsible for any typographical or other error in the printing of the offer, administration of the Prize Draw or in the announcement of the prize. Snow Camps Europe reserves the right to amend these rules at any time. We may also create rules which will apply to a specific prize draw only. If we do this, we will publish the amended prize draw rules and/or specific prize draw rules on the relevant prize draw page. Winner acknowledges the Sponsor and all other businesses concerned with this Prize Draw and their agents do not make, nor are in any manner responsible for any warranty, representations, expressed or implied, in fact or in law, relative the quality, conditions, fitness or merchantability of any aspect of prize. The promoter is not responsible for inaccurate prize details supplied to any entrant by any third party connected with this prize draw. In the event of a dispute over the identity of an online entrant, entry will be deemed submitted by the “Authorized Account Holder” of the e-mail address submitted at time of entry. Authorized Account Holder means the natural person who is assigned to an email address by an Internet access provider, online service provider, or other organization that is responsible for assigning email addresses for the domain associated with the submitted e-mail address. Entry materials/data that have been tampered with or altered, or mass entries or entries generated by a script, macro or use of automated devices are void. The Sponsor is not responsible for: (i) lost, late, misdirected, damaged, illegible or incomplete entries; or (ii) error, omission, interruption, deletion, defect, delay in operations or transmission, theft or destruction or unauthorized access to or alterations of entry materials, or for technical, network, telephone equipment, electronic, computer, hardware or software malfunctions of any kind, or inaccurate transmission of or failure to receive entry information by Sponsor on account of technical problems or traffic congestion on the Internet or at any web site or any combination thereof; or (iii) any injury or damage to entrant’s or any other person’s computer related to or resulting from participating in the Prize Draw. By participating in the Prize Draw, you (i) agree to be bound by these Official Rules, including all eligibility requirements, and (ii) agree to be bound by the decisions of Sponsor and the independent judging organization, which are final and binding in all matters relating to the Prize Draw. Failure to comply with these Official Rules may result in disqualification from the Prize Draw. Sponsor reserves the right to permanently disqualify from any sweepstakes it sponsors any person it believes has intentionally violated these Official Rules and cancel the Prize Draw if it becomes technically corrupted (including if a computer virus, bot or system malfunction inalterably impairs its ability to conduct the Prize Draw), and to select winner from among all eligible entries received prior to withdrawal. Legal Warning: ANY ATTEMPT BY AN individual, whether or not an ENTRANT, TO DELIBERATELY DAMAGE, destroy, tamper or vandalize this WEB SITE OR interfere with the OPERATION OF THE PRIZE DRAW, IS A VIOLATION OF CRIMINAL AND CIVIL LAWS and SPONSOR RESERVES THE RIGHT TO SEEK DAMAGES and diligently pursue all remedies against ANY SUCH individual TO THE FULLEST EXTENT PERMITTED BY LAW. This Prize Draw shall be governed by and interpreted under the laws of Europe. without regard to its conflicts of law’s provisions. By participating, entrants agree that any and all disputes arising out of or relating in any way to this Prize Draw shall be litigated only in courts sitting in Austria. By entering this competition, you are signing up for the Snow Camps Europe & Pinzgau Apartment Rentals newsletter. You can unsubscribe from any of Snow Camps Europe or Pinzgau Apartment Rental newsletters by clicking on the unsubscribe link in the bottom of each emails; in the event that you wish to unsubscribe from all of them at once, please contact Snow Camps Europe. This promotion is in no way sponsored, endorsed or administered by, or associated with Facebook or Instagram. By participating you hereby release and hold harmless Facebook and Instagram from any and all liability associated with this promotion.